The Rangitikei District Council – Roads and Transportation Asset Management Plan is available here. The Rangitikei Council TAMP includes descriptions of the strategic environment, activity management practices, asset management practices, asset management plan assumptions, and improvement to asset management planning. 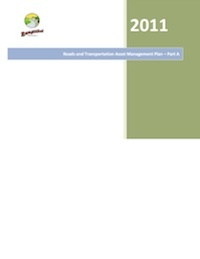 These second part of the plan provides a detailed review of transportation asset types with an overview, description of levels of service, a routine maintenance plan, and a renewal/replacement plan. Risk management is considered for pavement and bridge assets. Additional sections include asset inventory, levels of service, inspections, planning, the decision-making and management processes, incentives and penalties, service delivery, and implementation. This document includes the following sections: Asset Valuation, Communications and Reporting, Data Management, Financial Plan, Introduction, Inventory and Condition, Objectives and Measures, Process Improvements, Risk Management.